A special thanks to my longtime friend Darryl De Abreu for passing along this article. 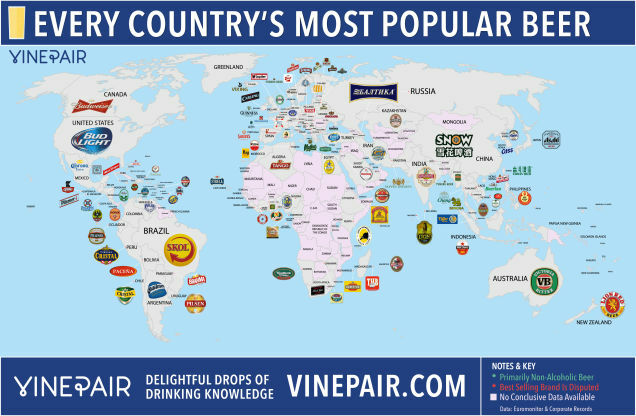 Booze lovers’ magazine Vinepair put together this neat map showing the most popular beer brands around the world. 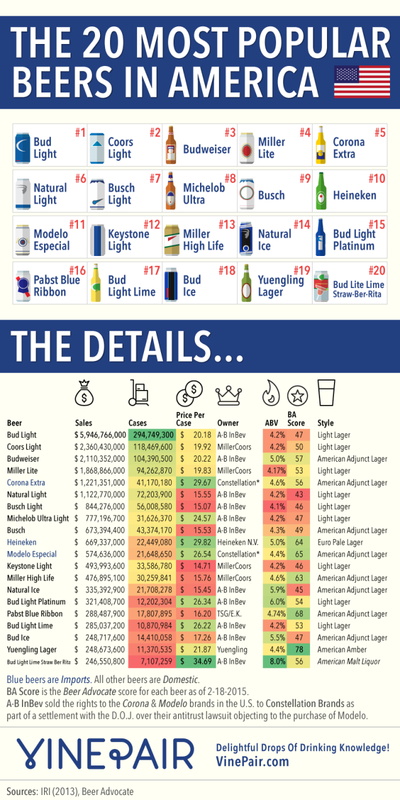 Yeah, it’s hard to believe that a tasteless concoction like Bud Light is the top selling beer in the US. Unfortunately, as it’s often the case, most popular doesn’t mean better.